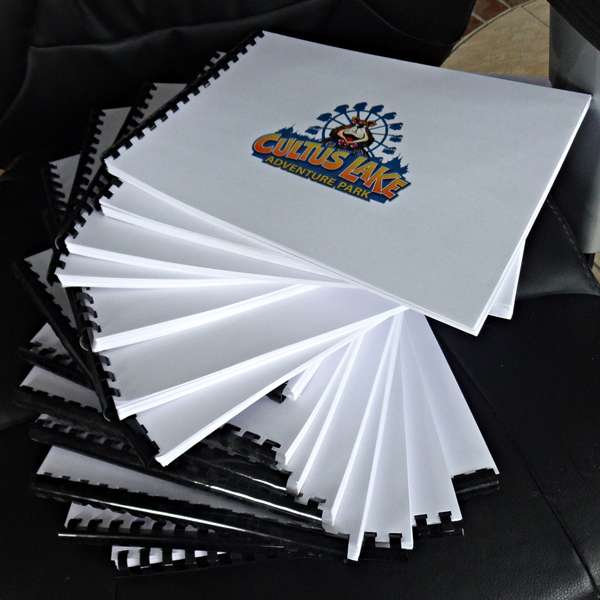 After weeks of dreaming up ideas, drawing, printing and binding the concepts for the Cultus Lake Adventure Park we are now substantially done. Today there was enough of a plan that I could bind the last of the thirty page books which will be used for presentations to planners, structural engineers, ride engineers, architects, landscaping designers, contractors, building inspectors, other authorities and a whole bunch of other folks. Designing of a myriad of details will continue in the next week. As we get into the construction the many concepts already drawn will serve as a starting point with modifications, alterations and additions continuing through the long build process. It is going to be a fun and challenging project for with the basic planning complete this adventure is just beginning.